Alchemy and magic dominate. Magician Ralph Garland embarks on a quest to discover the secrets hidden in Hermes’ craft. His research branches into diverse religious traditions, including the Neolithic goddess religion. He journeys beyond the veil and initiates a response from the spirit realm. Many strange experiences occur as he progresses in his alchemical studies, and when his conventional worldview disintegrates, he finally emerges through the portal of mysteries. In fear of losing his mind he opens his heart to his friend and love Shasta Garland, who is writing a new novel in her on-going detective series, one that will apply the theme of magic. She supports him in the healing process, and her nurturing strengthens his resolve to attain his mystical aspirations by producing a magical presentation of alchemy: The Alchemical Light Show. Together the couple evolve toward a spiritual healing and bonding. 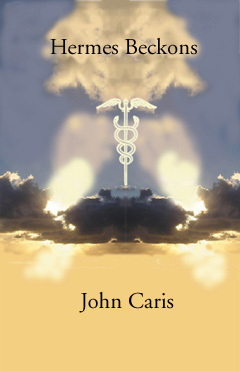 Hermes Beckons is a novel of ideas: thought-provoking and stimulating. Complete book online is available for your reading pleasure.